What’s in the old wooden box in SNOW ANGEL? SNOW ANGEL IS AVAILABLE NOW! Author of "WE ARE DIFFERENT NOW" - A Grandparent's Journey Through Grief, first place award winning novel "FOOTPRINTS IN THE FROST" and award-winning novel "SNOW ANGEL", and the first of three novellas in her The Drifter Series called JAKE - Whiskey, Water & Wildfire. Contributing author to anthologies "Felons, Flames & Ambulance Rides", "American Blue", "Recipes by the Book: Oak Tree Authors Cook" and "The Centennial Book of The National Society of Daughters of the Union 1861-1865". Numerous articles, poems and short stories published since 1990. 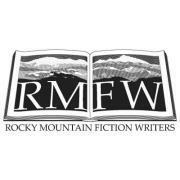 Charter Member of the Public Safety Writers Association and member of Rocky Mountain Fiction Writers. Winner of ten writing awards. I live in a quaint Colorado mountain tourist town with my husband and Siamese cat. When deeps snows blanket the terrain and spectacular views from my windows, it becomes the perfect spot in which to write.